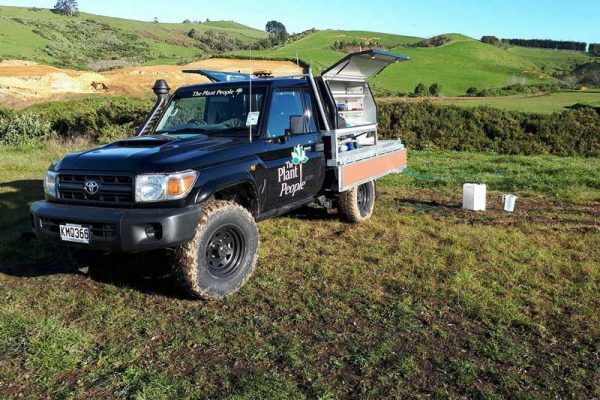 A new addition to The Plant People’s Environmental Team, this unit has amazing off-road capabilities, and enables us to spray large areas efficiently and effectively. The 100m retractable hose enables greater reach, coupled with the remote control hose retraction system gives the operator greater mobility over difficult terrain. Our team that operates this machine are all Growsafe Approved Handlers, overseen by two staff members who are Growsafe Registered Chemical Applicators. 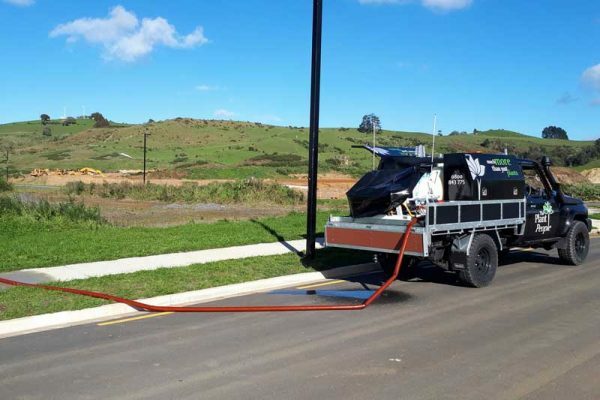 The unit has a boom spray option, ideal for broad acre spraying and lawn spraying. We are available for all contract spraying requirements, including; gorse control, broadleaf lawn spraying, large area spraying, road edge spraying and noxious weed control. Contact us for further information.